With a family of 5 in 900 square feet and sharing 1 bathroom, it is no surprise that the bathroom is the room that gets dirtiest the fastest. 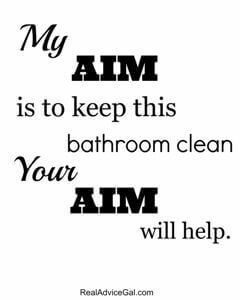 This makes it a never ending battle to keep the bathroom in “Company Worthy” appearance. I have begged, pleaded and even nagged to get everyone on the same page but no one can see the things I see (or at least that is what they tell me. ) I decided that I would just take matters into my own hands and take a few minutes every day to make sure it was ready for whatever the day held. 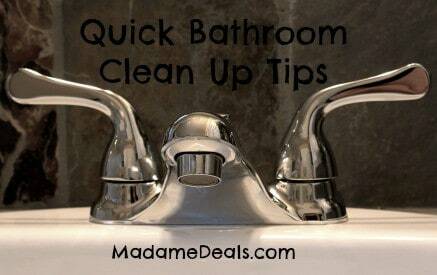 In order to save me time, I follow these Quick Bathroom Clean Up Tips. Even when an unexpected visitor drops by, I can have it cleaned up before they even notice I have left the room. Tip #1 – Keep your supplies that you use regularly in the bathroom. I use a small amount of space in the cabinet under my bathroom sink and keep a basket on the back of my toilet for things like air freshener and Lysol wipes. The basket can easily be hid under the sink when company comes. Tip #2 – Use a Multi Purpose cleaner so you can reduce the number of bottles and cleaners you have to use. Tip #3 – Use grocery bags in your bathroom garbage can so you can easily pull out the bag and move on. 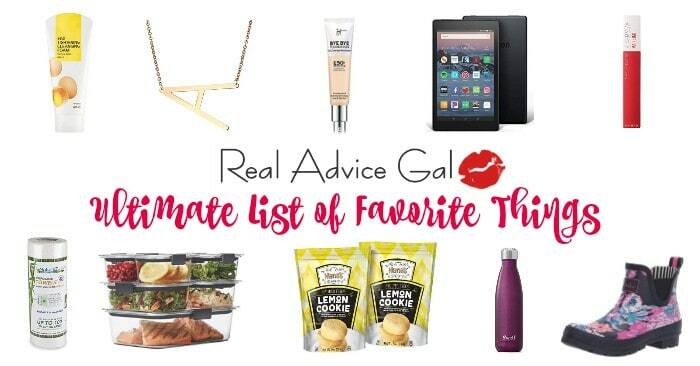 Make sure to stuff a few extra at the bottom of the can so you always have a bag handy. This is also a perfect chore for young children. Tip #4 – Keep the clutter to a minimum. If you don’t use it pitch it or put it away for a later use. The less things lying around the easier it is to come in and do a quick clean. Tip #5 – Use an over the door shoe rack to hold hair brushes, curling irons, flat irons and combs. This saves up counter space and will stop them from falling out of the cupboard if a guest goes looking for more toilet paper. Tip #6 – Invest in a container of cleaning wipes. These are handy for those messes that need to be cleaned up right away. I also find these come in handy when doing a quick touch up when company arrives. They are good for cleaning sinks, toilets and even the door handles. Tip #7 – Get a basket for the kids bath toys. If it doesn’t fit in the basket then it can’t stay. This will stop toys from building up in the bathroom and taking over. Kids will learn responsibility by making sure the extra toys are put away for future use. Tip #8 – Keep extra toilet paper on the toilet or near by. If you have to hide stuff when company comes the last thing you want them doing is snooping around your bathroom for toilet paper. Keep it in plain site so they can see it and grab it if needed. There is no need to be opening doors and cupboards and seeing what you have hidden inside. Tip #9 – Use a Swiffer or small vacuum to get the floor clean without dealing with the broom and dustpan. This is also another great chore for younger kids. If you use rugs shake them out outside so that the dust,dog hair, and dirt do not end up on your floor. Tip #10 – Go easy on the air fresheners. Nothing says “I am trying to hide something” more than an overly sprayed room. You want it to look clean not just smell clean,so scent responsibly. 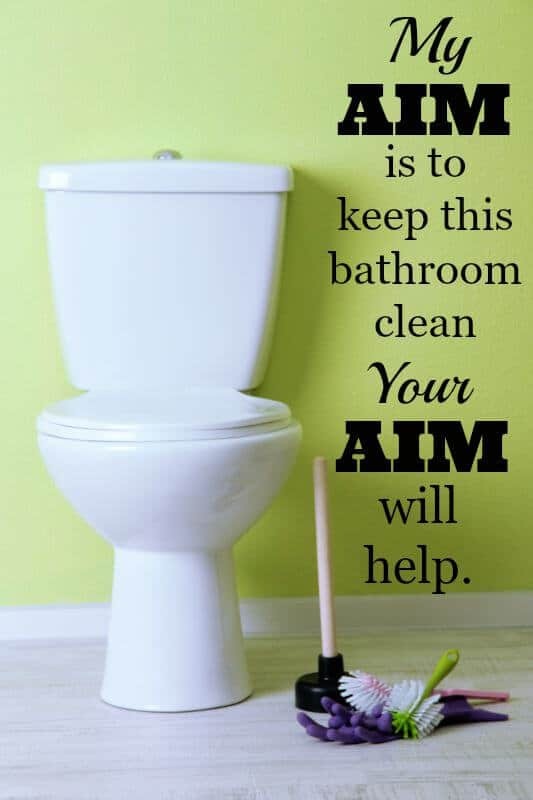 These tips help me keep my bathroom under control in between weekly cleanings and I am never left wondering if a guest thought my bathroom was dirty. Click the picture above to print. Check out these other helpful Cleaning Tips.